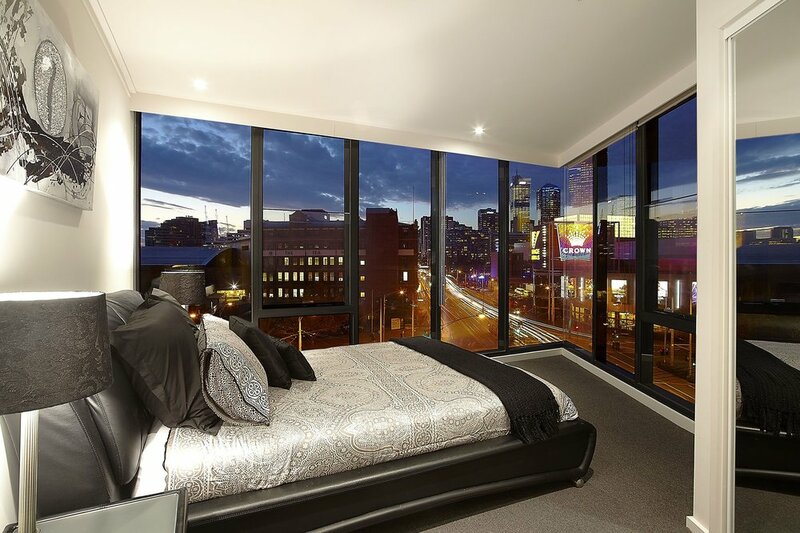 In this room type the bedrooms have sweeping city views, while the kitchen & lounge area look towards Crown Metropol with a side view of the city. The location was fantastic & provided us with a landing point right in the middle of everything we wanted to do in Melbourne. From the tram stop right out the front of the building to the Crown & all that is within that complex, across the road we had the best stay possible. We were able to view the NYE fireworks from the bedrooms & the balcony whilst feeling a part of the revelry occurring on the ground (without getting caught up with the thousands of people!). Fabulous spacious unit for two families- can’t recommend high enough. 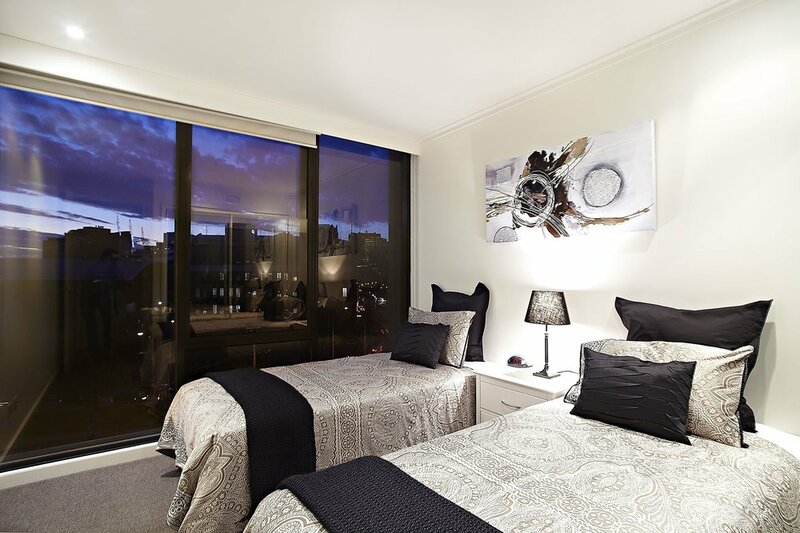 Great apartment, close to everything Southbank has to offer and a tram stop directly outside apartment building for those trips slightly further. We loved our stay and would certainly return again! 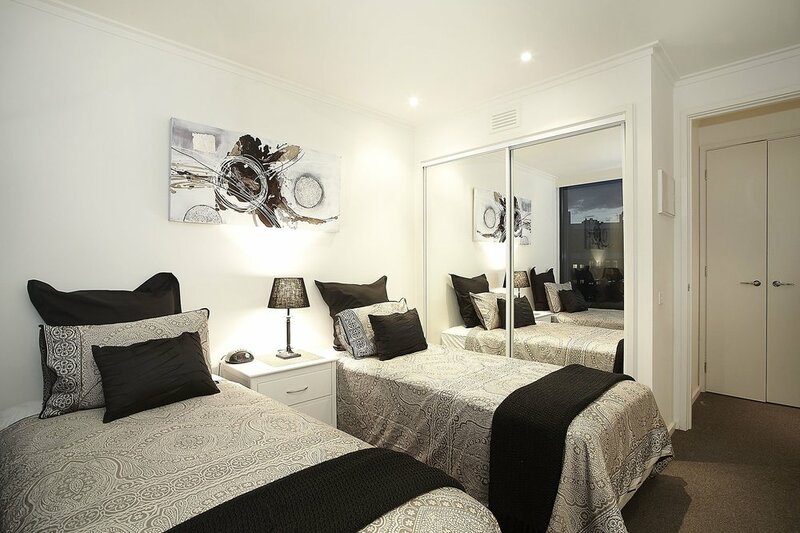 We only have two of these incredible value apartments and they are always heavily booked. So if you like what you see, click on the button to your right & book today. But first check our promotions page for promo codes.